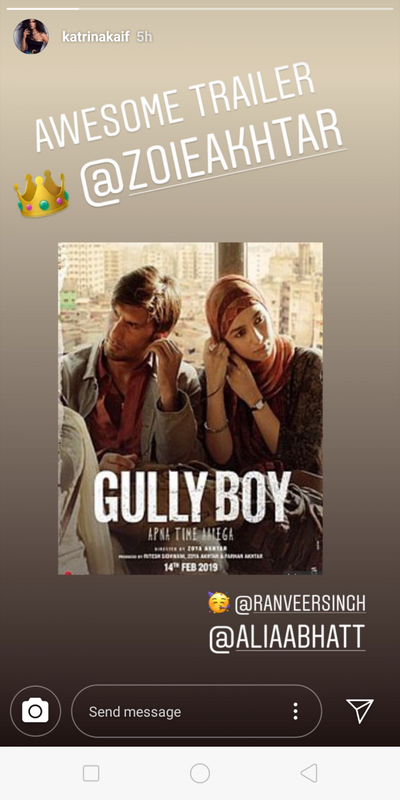 Katrina Kaif shares a poster of Ranveer and Alia's Gully Boy with a caption that read, "AWESOME TRAILER"
Alia Bhatt and Ranveer Singh are all set to release their next film Gully Boy this Valentines Day and the actors are leaving no stones unturned in promoting their film. 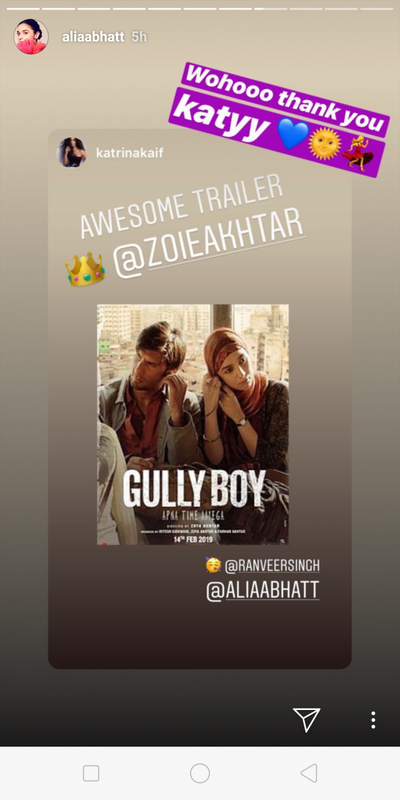 The trailer of Gully Boy was released yesterday and seems like Alia’s close friend Katrina Kaif is pretty impressed with it. 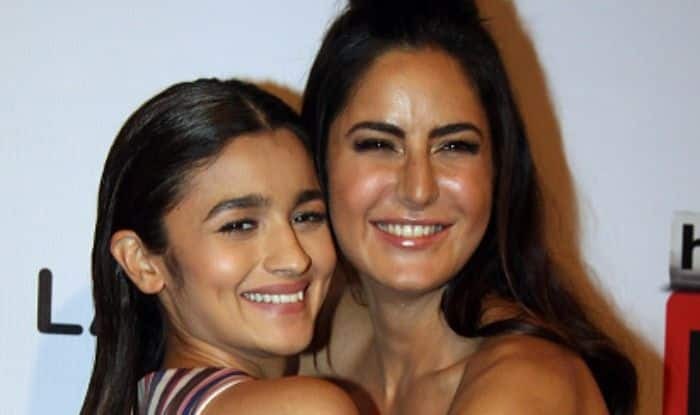 The trailer launch of the film was held yesterday where Alia was asked if she would hit a girl who gets close to her boyfriend and the actor replied by saying, “Abhi tak to nahi, par zindagi baki hai, par shayad kabhi nahi karungi kyunki I am non-violent.” (Not yet and may never hit someone as I am non-violent). This shows that Alia does not like to get physical but like she said, “zindagi baki hai”.